“Win!” shouted a confident and a bit taken back Scorpio Sky when asked what he’s going to do differently in order to take the United Wrestling Network Television Championship away from Rocky Romero. As brash as this answer may be, the Number One Contender to Romero’s title is not wrong. 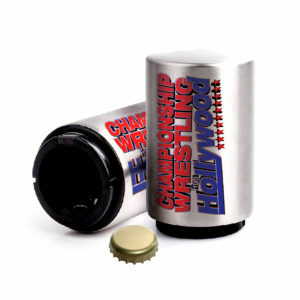 Scorpio Sky has been chomping at the bit for his next shot at “Mr. Azucar” after their bout at the Red Carpet Rumble was ruled a No Contest. Since that encounter, Romero has spent the majority of 2017 wrestling and defending the United Wrestling Network Television Championship overseas in Japan. 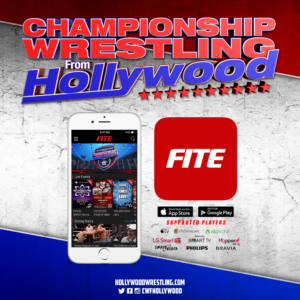 Now back on American soil, Rocky has no choice but to face Scorpio Sky, as Championship Wrestling From Hollywood officials have signed their rematch for Milestone on December 3rd at the Oceanview Pavilion. With Big Duke out of the picture, Sky has no distractions going into this matchup. If his demeanor is any indicator of his mindset, Scorpio Sky is undoubtedly the biggest threat to the United Wrestling Network Television Champion. Waiting time for Sky has come to an end. 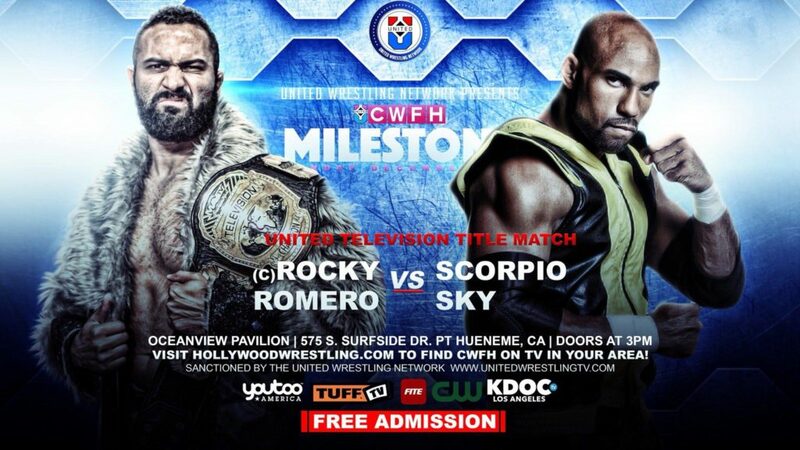 Rocky Romero defends the United Wrestling Network Television Championship against Scorpio Sky on December 3rd, as Championship Wrestling From Hollywood presents Milestone!